The KPBSD Curriculum and Assessment Department is offering certified teachers the opportunity to participate in a 3 credit graduate course to enhance professional practice in the area of assessment design. Teachers will learn how the assessment experts from AAI (our AMP developers) create high-quality, standards-based, common assessments. Teachers are encouraged to work in teams to build our bank of common assessments. All content areas are invited and teachers should seek approval from their school administrator before applying. Think Central ran a content update to their online materials recently, and as a result, some online resources have been moved. 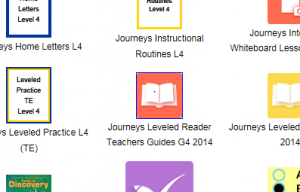 For example, the Critical Thinking and Thinking Beyond resources have been moved to the Leveled Reader Teachers Guide. If you find other variances in the online material, please notify Melissa Linton at mlinton@kpbsd.org.